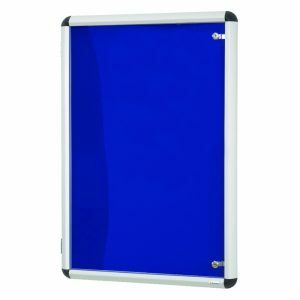 Display your important notices with this stylish and attractive external display case with a rich blue felt surrounded by an aluminium frame. 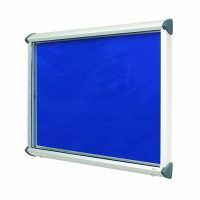 This deluxe weatherproof display case is independently certified against water and dust ingress and is fitted with two locks. Support stays included.